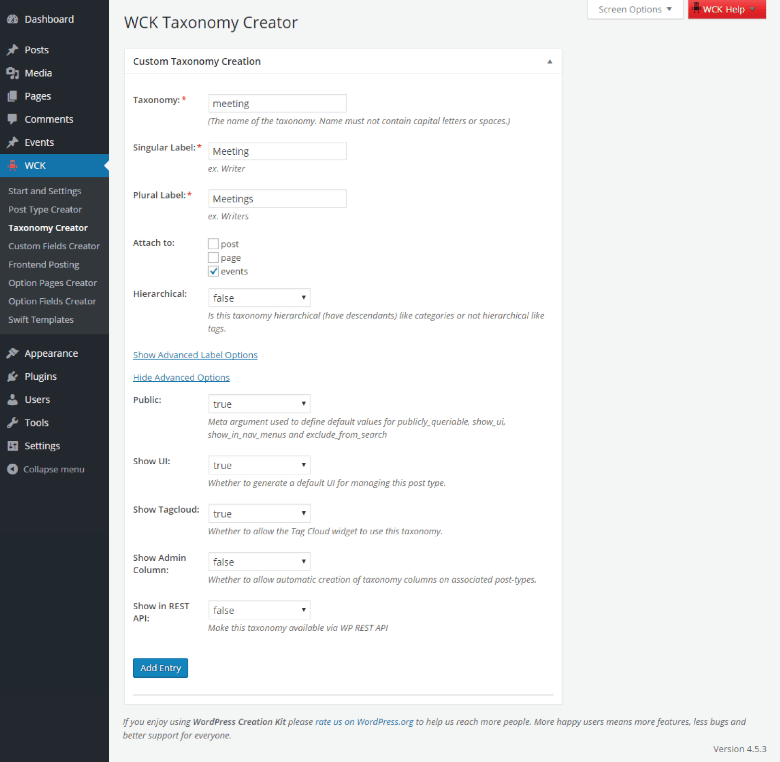 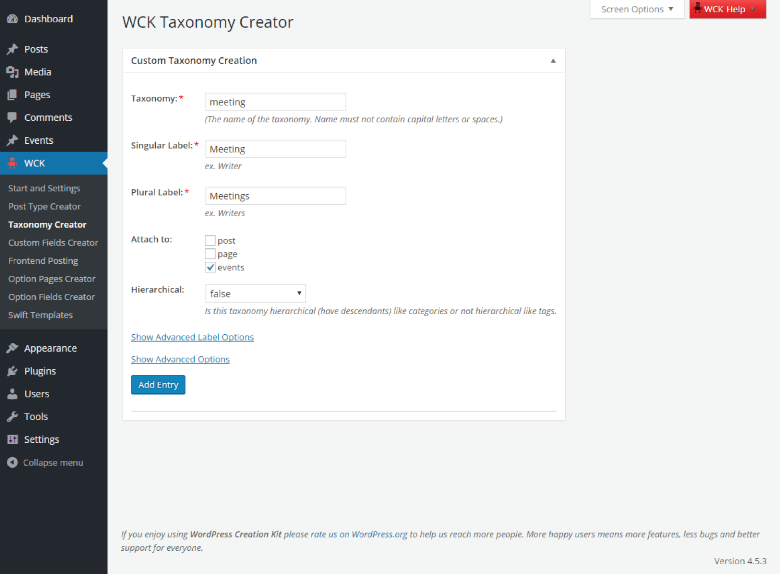 WCK Custom Taxonomy Creator allows you to easily create and edit Custom Taxonomies for WordPress without any programming knowledge. 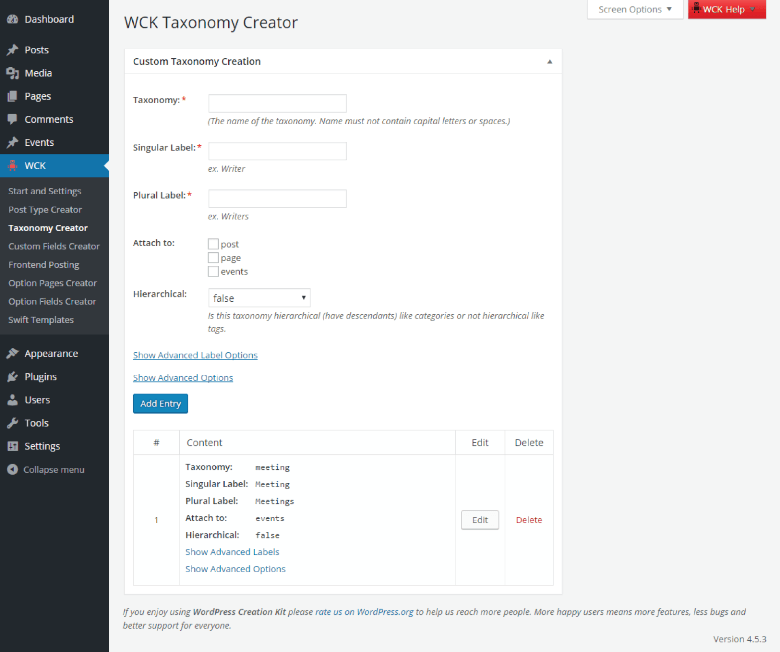 It provides an UI for most of the arguments of register_taxonomy() function. 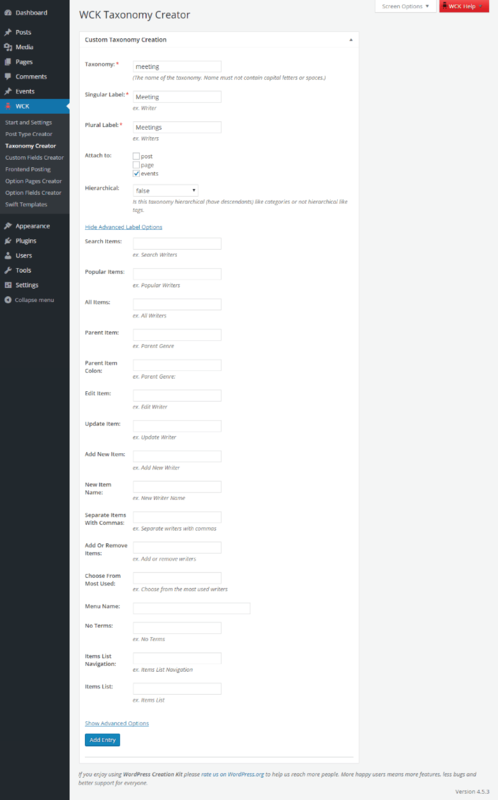 That displays the list of Genres attached to each post.